Drivers, here is a recipe for disaster: drugs, alcohol, not wearing a seat belt and speeding. The highest rate of impaired driving is amongst young drivers aged 19 to 24. This accounts for 56 per cent of all reported criminal incidents. The rate of impaired driving is at its worse at age 21 and relatively constant for 25 to 44 year olds. Seniors aged 65 years and older have the lowest rates. Statistics show impaired driving was a factor in almost 50 per cent of all incidents causing death. -Every 22 minutes someone dies in an alcohol-related motor vehicle accident. -There is a 200 per cent chance that you or someone in your family will either cause, or be an innocent victim to, a drunk driving accident. -A lot of young people (15 to 24 ages) are dying before they get old. These are tragic, meaningless deaths. -In a single year, 522 children under the age of 14 were arrested for driving while intoxicated, (113 of them were under 10 years old). 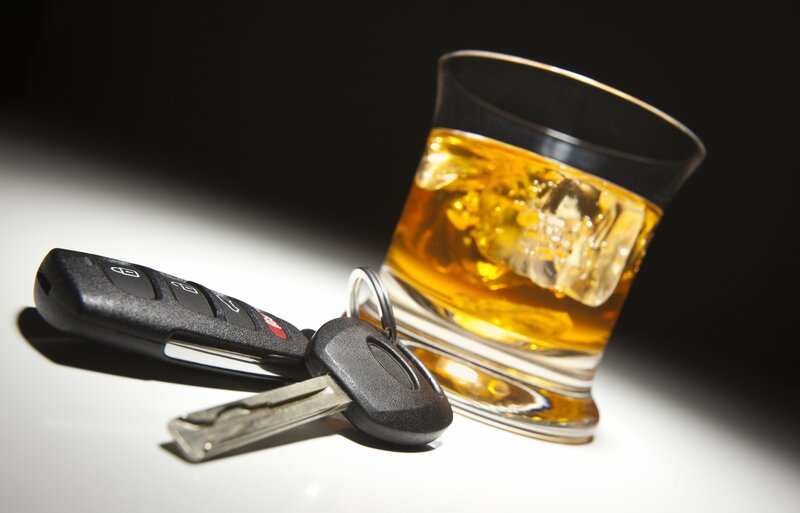 Driving under the influence of alcohol is the single risk factor for motor-vehicle-related incidents and injury. It is about time we crack down on irresponsible teenagers and adults who drink and drive. Alberta is now in tune with B.C., Ontario and six other provinces in passing laws which will lower the legal limit for blood-alcohol concentration from 0.08 to 0.05 per cent. If you are caught drunk driving then you may pay a steep fine, lose your license and have your car impounded – all before you set foot in court. So, be warned. The new legislation in Alberta soon after four teens were killed by an alleged drunk driver just south of Grande Prairie. A 21-year-old Grande Prairie, Alta., man was to face a slew of alcohol-related charges in a devastating crash that left four teens dead and one in serious condition. Matthew Deller, 16, Vincent Stover, 16, Walter Borden-Wilkens, 15, and Tanner Hildebrand, 15, all of Grande Prairie, were killed. Speeding and not wearing a seat belt are other causes of fatalities on our roads. Again the majority of culprits are kids in their 20s or younger. Six months ago, citing a lack of evidence, cops in Calgary released a 21-year-old driver involved in a high-speed rollover that killed his younger brother and girlfriend. The original charge included impaired driving. The crash happened shortly before midnight on a Sunday on Stoney Trail at McKnight Blvd. N.E. Two of the five people on board, the driver’s 16-year-old girlfriend and his 20-year-old brother, were not wearing seatbelts and were thrown from the car. They were taken to hospital where both later died. Few months ago, the town of Magrath, Alta. was in mourning after four teens were killed in a horrific crash on a Sunday. The four – Clay Card, 16, Renzo Dainard, 16, Danae Gough, 14, and Jorden Miller 14 – were in a vehicle that left the road east of Magrath, about 240 km southwest of Calgary, landing upside down and partially submerged in a creek. According to the local Mounties, speed and driver inexperience probably caused the crash. The holiday season is here. Drinking and partying is part of the Christmas and New Year celebrations. If you drink then don’t drive. If the party is in a hotel then book a room and stay there. Otherwise, take a cab or have somebody (who is not drinking) to drive you home. Wear a seat belt and do not speed. Have a wonderful, safe Christmas and holiday season and Happy New Year. This column will return in January, 2012. Next PostNext My New Year’s Resolution: Get enough sleep!